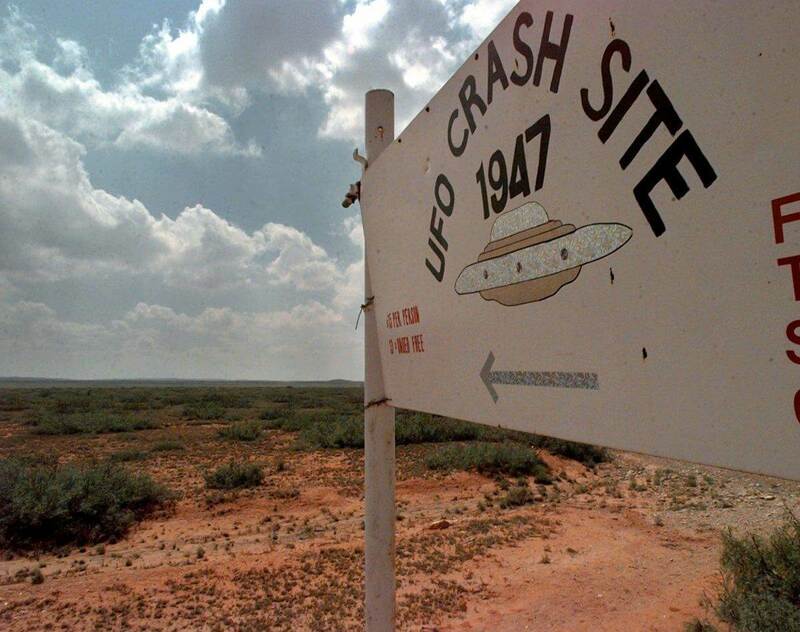 The Pentagon yesterday tried to shoot down a nagging 50-year-old UFO mystery with a new report saying the “alien bodies” spotted near a supposed saucer crash site in New Mexico were really just military crash-test dummies. There is “no evidence whatsoever of flying saucers, space aliens or sinister government coverups,” the report said. But UFO buffs branded the 231-page report optimistically titled “Case Closed” yet another whitewash by a government that seems to think they are the dummies. “It’s preposterous,” said Michael Luckman, head of the New York Center for UFO Research. Luckman pointed out that the Air Force’s life-size plastic parachute dummies were first dropped from the skies in 1953 six years after the mysterious 1947 incident in Roswell, N.M. Witnesses say they saw four or five small gray bodies in early July 1947 at the Roswell Army Air Field Hospital, and being put aboard military planes bound for Texas. Air Force Col. John Haynes, who presented the new report at a laughter-punctuated Pentagon press conference, speculated that people saw the dummies but confused the dates. “I have no other explanation,” Haynes said. In 1947, the Air Force said an ordinary weather balloon had crashed. After several witnesses over the decades said the debris looked extraterrestrial, the Air Force released a 1994 report saying it was really a top-secret high-altitude balloon designed to sniff out Soviet atomic tests. On balloon flights, test dummies were used and placed in insulation bags to protect temperature sensitive equipment. These bags may have been described by at least one witness as “body bags” used to recover alien victims from the crash of a flying saucer. The latest explanation apparently won’t stop the conspiracy theorists. A Time/CNN poll last week found that one in three Americans believes the Earth is being visited by aliens and that the government is covering it up. But Haynes said the government could never pull it off. The 50th anniversary of the Roswell Incident to be celebrated next week by 100,000 UFO devotees in New Mexico has sparked new interest in flying saucers.